Another Double Victory for Team City Lifting! 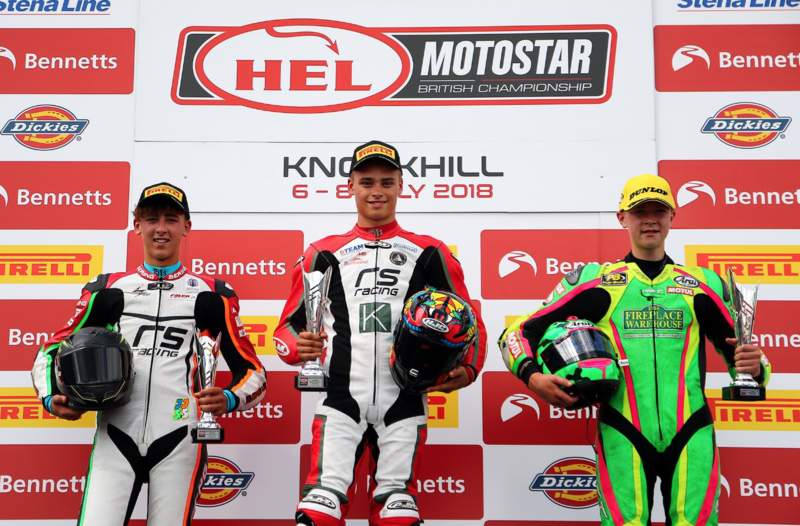 We are very pleased to announce another double win for City Lifting sponsored Racer, Jake Archer, at the latest round of the HEL Performance British Motostar Championship at Knockhill. Team City Lifting’s Jake Archer has already won three of four races this season, leaving him 31 points ahead of the other racers before the weekend began! Race 1 consisted of 18 laps and saw both team City Lifting riders take to the podium, with Jake Archer narrowly beating team mate Jack Scott to the finish line by just 0.055 seconds. Archer led for nearly the whole race but was unable to gap the three riders behind him with only three laps left. The last 3 laps saw both team city lifting riders battle it out for first place, with Jake Archer regaining his position in the final corner of the last lap to cross the line in first place. The second race was 22 laps with Archer starting in the middle of the first row. He came in second position at the first corner but soared into first place during the second lap. Towards the end it was a tough battle between Archer and Storm Stacey. Stacey overtook Archer a few times but ultimately lost to the team city lifting rider on the final lap. Now Jake Archer has a total of 145 points, taking him ahead of his rival Storm Stacey by 45 points. The next round is on the weekend of the 20th of July at the GP circuit in Brands Hatch.